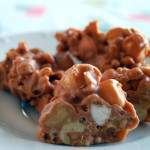 The candy recipe I am sharing today is probably the most requested candy I make. Everyone seems to love it and better yet it is so easy to make. The flavor combination of the peanut butter, vanilla chip, and the butterscotch chips I think is what makes this candy so great. This recipe takes a few ingredients but it’s really easy to make. The combination of the flavors I think is what makes this candy so delicious. 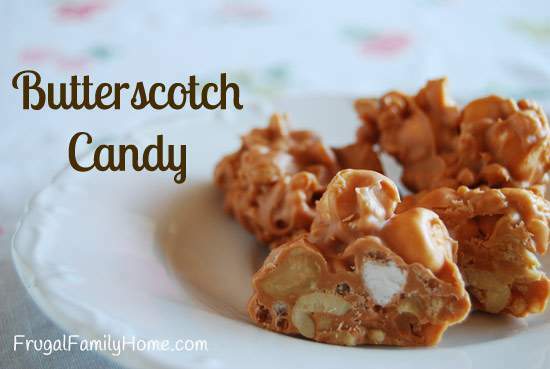 The butterscotch candy is so very easy to make just microwave the baking chips then add in the peanut butter and mix until smooth. Then stir in the remaining ingredients. Look at how wonderful they look when you bite into them. 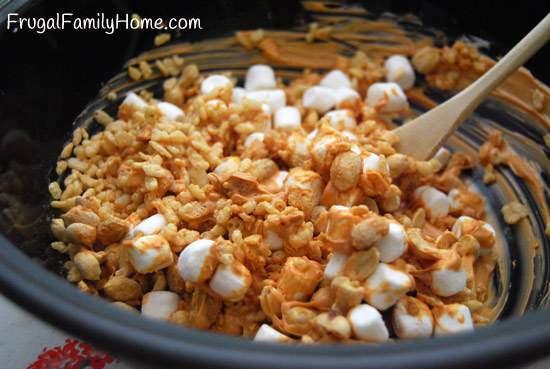 You get the crunch of the rice cereal, the soft sweetness of the marshmallows and the crunch of the peanuts. 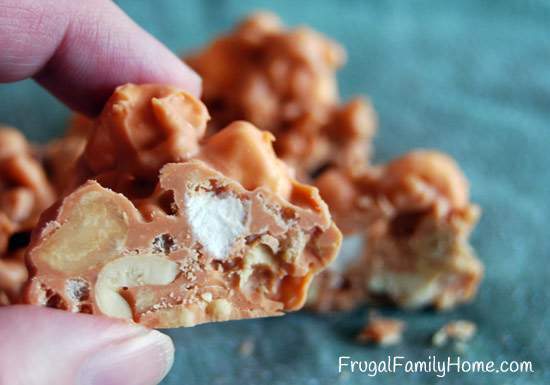 Not to mention the wonderful flavor of the butterscotch coating mixed in with all of it. In a microwave-safe bowl combine the vanilla chips and butterscotch chips. Microwave for 1 minute and then stir. Then microwave another minute and stir again. Continue to microwave and stirring intervals until the chips are melted and smooth. Stir in the peanut butter into the melted chips and stir well. 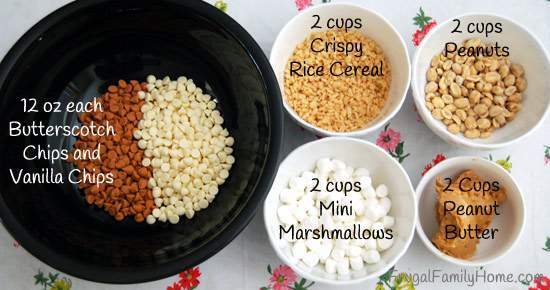 Add in the remaining ingredients and mix so that the mixture is well combined. 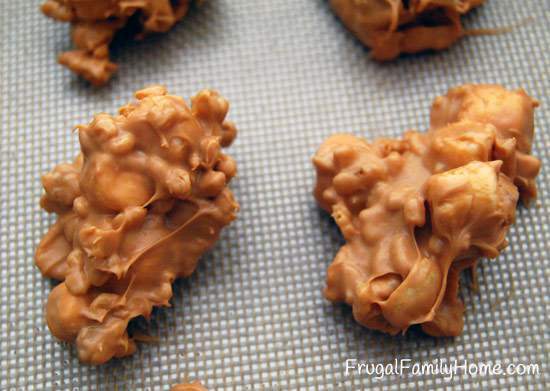 Quickly drop by the teaspoonfuls onto a wax paper lined cookie sheet. Let cool until set. Store in a covered container.